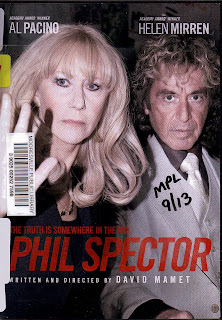 You’ve got to admire a movie about a person as famous as Phil Spector which begins by telling you it is not the truth. But then again, with Phil Spector, you just never really know anyway. The movie, written by David Mamet, is narrowly focused on the Mr. Spector’s first trial for the murder of aspiring actress Lana Clarkson. Helen Mirren plays his attorney in this highly imaginative, yet oddly engrossing film. Shifting between the events of the trial and the personal life of this famous icon as the trial takes place helps the viewer to decipher the oddities of Mr. Spector’s thinking. The beleaguered attorney, who at first despises her client, finally comes to have a begrudging respect for his self-proclaimed genius. David Mamet both wrote this film and directs it. He may have an agenda in getting Mr. Spector’s sentence reduced; or at least mitigated. He is currently housed at California Health Care Facility (CHCF), which is located in Stockton. He was sentenced to 19 years to life for the murder, which he still denies having committed. The highly fictionalized film does manage to recall some of the juicier moments of a career gone awry. Al Pacino, who plays the infamous record producer, does a great job in dress and mannerisms, although his dialogue is pure Al Pacino. During the scenes in Mr. Spector’s home I kept expecting him to pull a machine gun from beneath his robes, yelling, “Meet my little friend!” But dialogue aside, the choice of Mr. Pacino to play this part was a very good one. He is built roughly the same as Mr. Spector and they actually do look alike. You will have to get over the shock of Mr. Pacino changing wigs for almost each scene, but then again, that’s what Mr. Spector did in real life. Just look at his trial photos and you will see a vast array of hairstyles ranging from long ringlets to an outrageous Afro which would be the envy of Angela Davis in 1968. 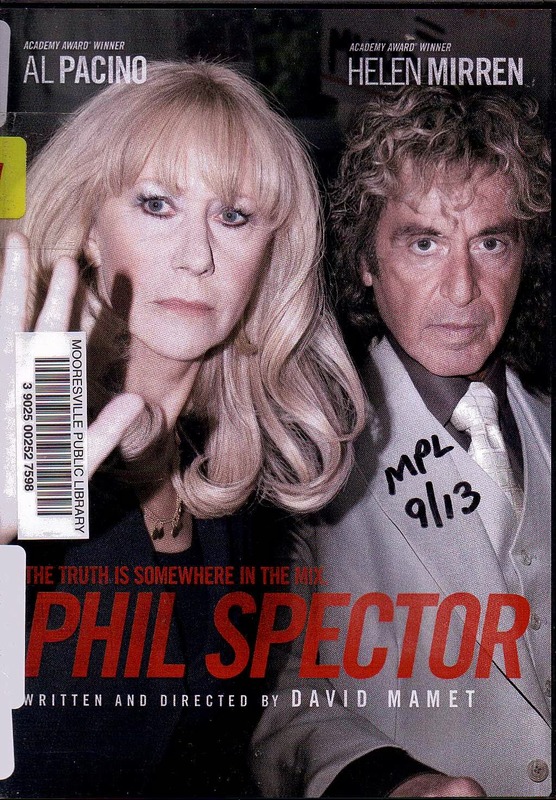 Mr. Mamet has written some great dialogue in his attempt to explore the bizarre world of Phil Spector, recalling some of his finest moments, as well as his worst. Along the way he reminds the viewer of some of Mr. Spector’s greatest successes. From the Ronnettes and the Righteous Brothers, to his producing the Beatle’s album “Let It Be”, Mr. Mamet has painted a picture of a man who is at once seriously talented, and fatally flawed. The only assertion which I can actually take issue with in this film is the claim that his production of the Beatles “Let It Be” made it a hit. It should be noted that the Beatles had already moved on to record their real last album, “Abbey Road”, in the summer of 1969; leaving the disastrous and unmixed recordings from the “Let It Be” sessions unfinished. 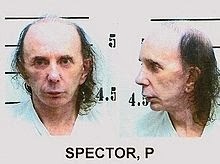 And, speaking of naked, here's Phil Spector without his wigs.